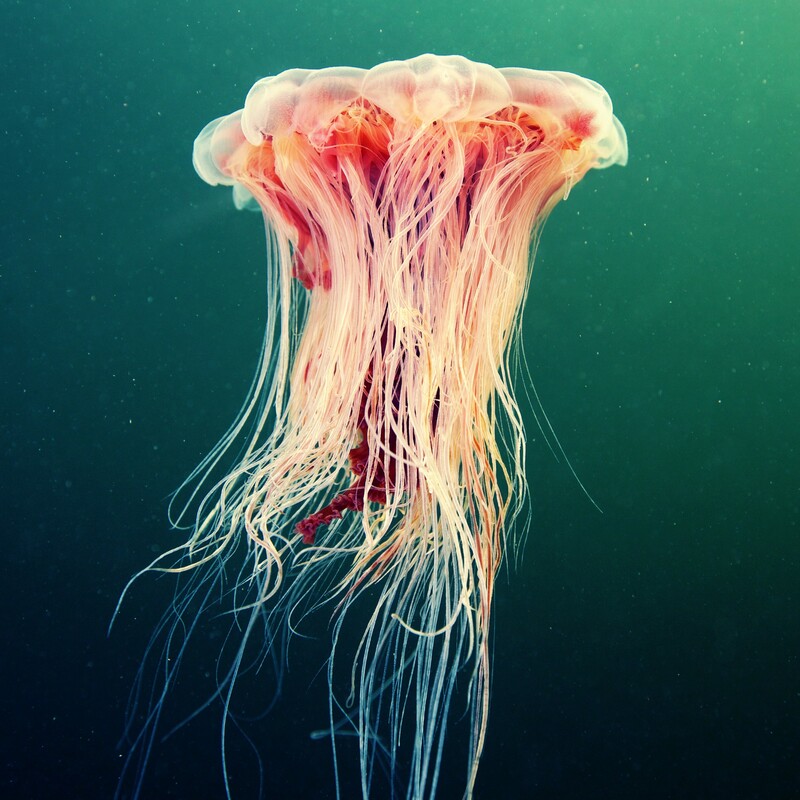 Scientists are yet to discover numerous species that live on Earth — especially in the oceans. You might be surprised to hear this, but in this 21st century of ours, scientists still describe 10,000-20,000 new animal and plant species every year [1, 2, 3]. Just imagine that! What’s even more surprising, we are yet to discover a vast amount of species inhabiting our planet. Let’s take fungi for example. 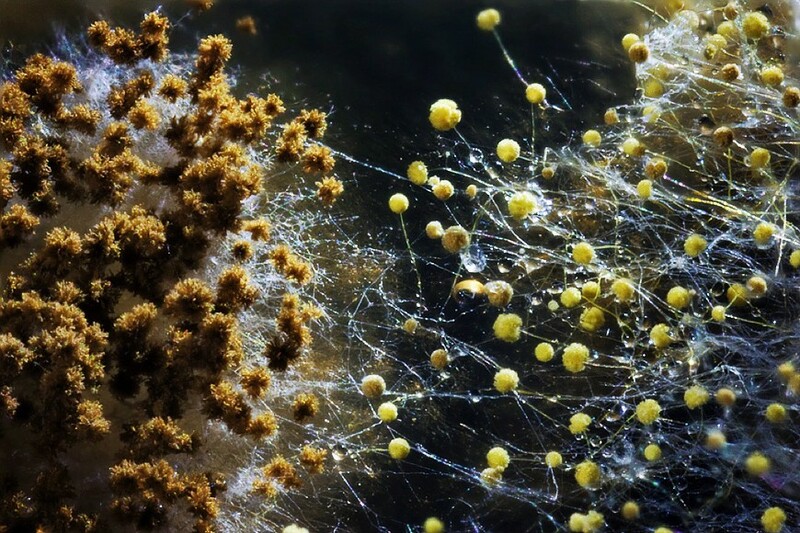 They exist in a whole kingdom of their own and, according to scientists’ estimates, we have discovered only a few percent of all fungi on Earth . The situation is radically different with plants. Scientists now say that we know practically all plants on the planet. This is easy to explain though, since fungi inhabit nearly every ecological niche in the world: from a forgotten piece of bread, to ocean depths and the hearts of volcanoes. You can’t really study them without a microscope either, since it can be fairly difficult to distinguish between various types of mould you may have in front of you. Plants, on the other hand, can usually be observed with the naked eye. All of these are immobile objects, however. They can’t run away or hide from the curious scientist. The animal kingdom is in constant movement, perpetually eluding its explorers. The World Ocean contains life throughout its volume. Strange life-forms can even be found at unfathomable depths and it’s difficult to imagine what kind of monsters lurk in spaces several kilometres under the water’s surface. Oceans have been studied since ancient times. Aristotle himself dedicated a whole chapter to them in his “Meteorology”. Nevertheless, contemporary estimates state that the proportion of undiscovered species in the World Ocean could be as high as 60% to 91% [2, 3]! We currently know of over 220,000 marine organisms. If that’s just 30% then we have a whole brave new world in front of us! We want to find aliens from distant planets or peek at completely unimaginable creatures. That’s easy! They’re right in front of us — in hydrospace! Of course, a large proportion of these undiscovered species is microscopic, hidden for the casual observer. However, just a few months ago, scientists discovered a new species of whale (Mesoplodon hotaula, ). Some time before that, a giant jellyfish washed up on the shores of Tasmania . Nobody has seen this type of creature before. Truly, the World Ocean is a huge space for scientific discoveries. We don’t know that many planktonic organisms, only about 7500. Merely 1000 of these are gelata . 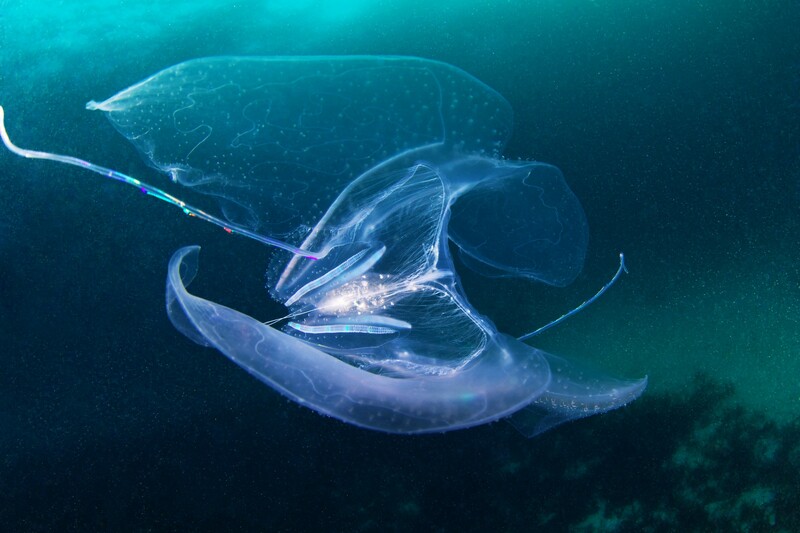 Since gelata cannot be gathered with classic harvesting methods (planktonic tow nets), it’s practically impossible to catch them. Over the years, scientists and expeditions could, therefore, have missed countless unbelievably beautiful and fragile gelata. Cyclosalpa sp., the Red Sea. 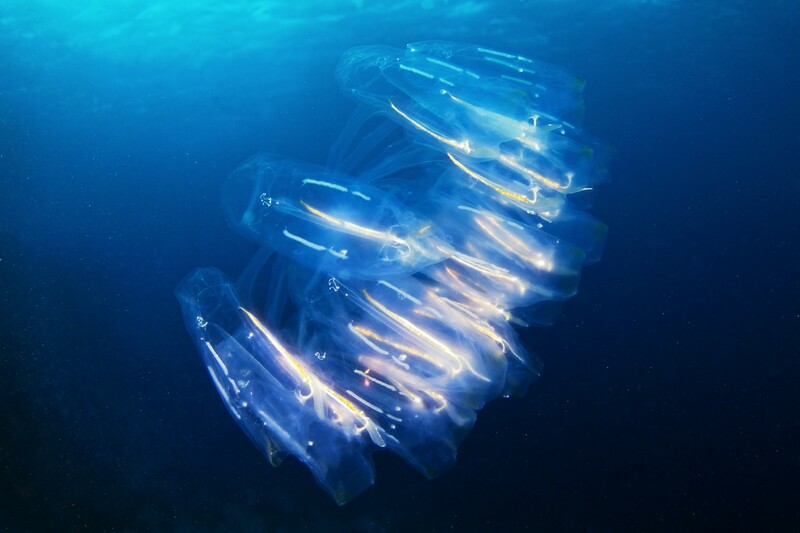 Scyphozoan jellyfish Cyanea capillata, the White Sea. Scyphozoan jellyfish Aurelia aurita, the White Sea. That’s why our main exploratory method is direct observation within the species’ natural habitat. This will allow us to see and record countless interesting sights. Most importantly, it’s the perfect way to discover new species. Scientists say that, in the coming years, blue water diving (which is our main methodology for the expedition) will help humanity discover several thousand new animals. The capacity of contemporary photo and video technology is incredible, today’s diving equipment is practically fail-safe. This means that we live in the perfect time to discover gelata! We’ll be the scientists who use all available technological capabilities to study the unknown. This is precisely the reason why Steven Haddock (a world-renowned planktonologist and active supporter of Aquatilis Expedition) describes our time as a “golden age for gelata” . The Fungi: 1, 2, 3, … 5.1 million species? 2011. M. Blackwell. Deep-sea sampling on CmarZ cruises in the Atlantic Ocean — an Introduction. 2010. P.H.Wiebe, A. Bucklin, L.P.Madin, M. Angel, T. Sutton, F. Pages, R.R. Hopcroft, D. Lindsay. 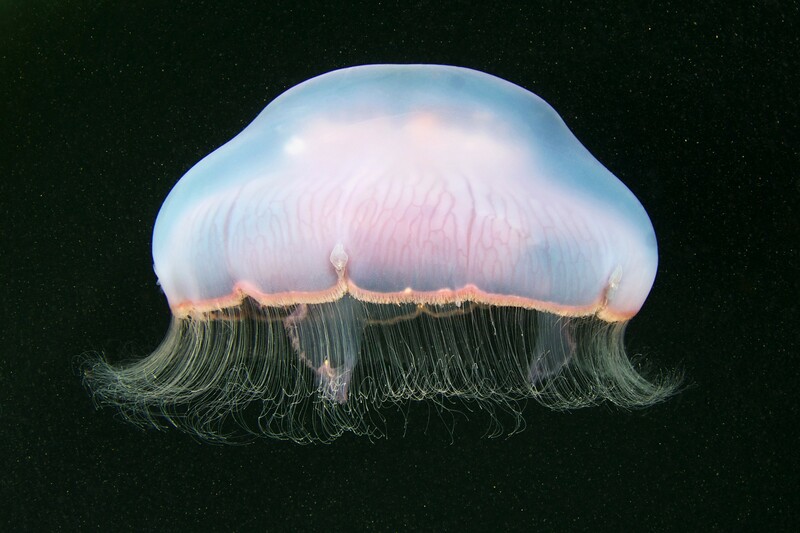 A golden age of gelata: past and future research on planktonic ctenophores and cnidarians. 2004. S.H.D. Haddock.